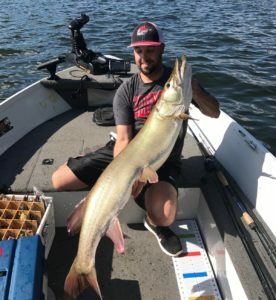 Hobbies: Musky fishing, but also Smallmouth and Walleye too. Golfing, Hiking, Cooking, and Traveling. Primary Fishing Strength: Using a combination of data analysis and application + time on the water, to put fish in the boat. 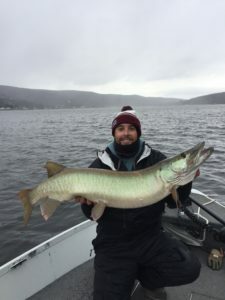 NJ is not a self-sustaining fishery, so analyzing fisheries data along with historical seasonal patterns, and other local learnings to locate fish has proven successful. Couple this with long hours breaking down bodies of water and you have a formula for catching big fish! Also should mention not being afraid to try something new and out of the box. Some of my best patterns have come from my gut feeling on trying something new with my bait, technique, or location. Don’t get stuck in the same routine! Go To Bait: 2017 show color Crappie DC-9 Marabou- burned through some cabbage & Walleye/Perch .22 Short bounced off some rocks or timber! 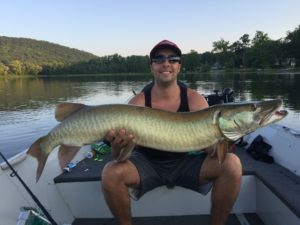 Additional Info: To be honest I’ve only been fishing muskies since 2015. Once I had that first bite on a DC-10 I put all other fishing (and other life responsibilities ) aside to Musky exclusively. 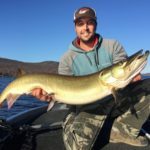 As I started to put fish in the boat I would spend time afterwards determining why that fish ate and how I can duplicate this next time on the water. 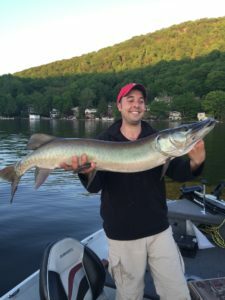 I started to take notice of certain trends in order to stay 1 step ahead of the next bite in the every changing NJ musky waters. 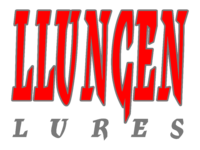 The Llungen family and of course brand has enabled me to be extremely confident when casting or trolling on any lake and under all conditions.